Fairey Swordfish is a World War II airplane wreck dive in Malta. Swordfish was a British single-engine biplane torpedo bomber, about 11 m in length and 14 m wingspan. In 1943 soon after take-off from Hal Far, this Swordfish had engine problems, and the pilot had to ditch the plane in the sea. The crew of two survived but the airplane sunk. Fairey Swordfish wreck is located approximately 5 km off Sliema coast in northeast Malta. This is a boat dive for technical divers. 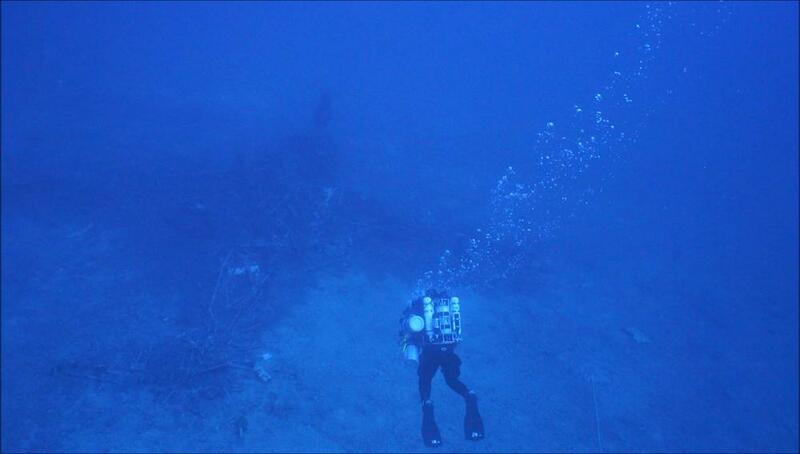 The airplane wreck lies at a depth of around 55 m on sandy seabed. Swordfish’s metal frame structure is quite intact; the wings and tail are visible, but the covering fabric is gone. Plane’s radial engine still has its three-bladed propeller attached. Fairey Swordfish airplane wreck was discovered in June 2017 and is to be opened for diving in May 2019. For divers interested in airplane wrecks, there are few shallower dive sites in Malta: Bristol Beaufighter, Bristol Blenheim Bomber, Mosquito Fighter Bomber and Lockheed P2V Neptune. These plane wrecks are between 30 and 42 m deep. Other technical airplane wreck dives are Junkers Ju 88 at 57 m and Liberator Bomber B24 at 90 m depth.